The winners have been chosen! Thank you for participating in this contest. We've been blown away by all the magical entries! It’s time to do your magic! Have you ever imagined being a part of the Wizarding World? 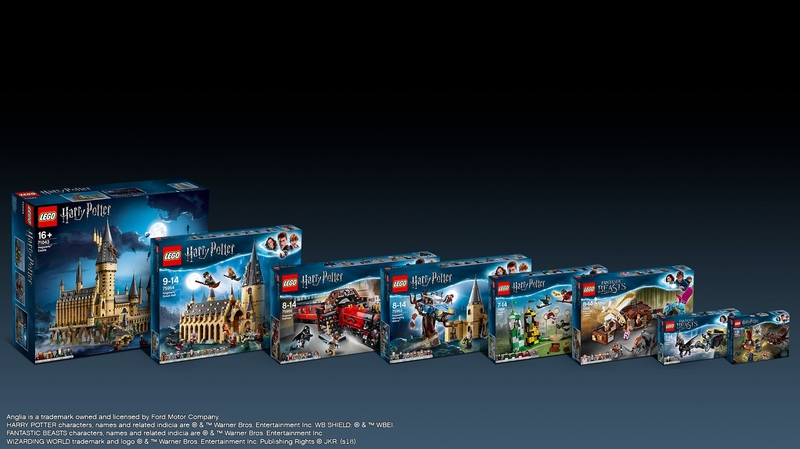 We now invite you into the LEGO® world of Harry Potter™ and Fantastic Beasts™, but be aware that you need to use your magical, creative powers to enter. If you are a fan of Harry Potter™ and Fantastic Beasts™, you probably have considered how cool it would be to have your own wand, broomstick or suitcase filled with magical creatures. Now is your chance! 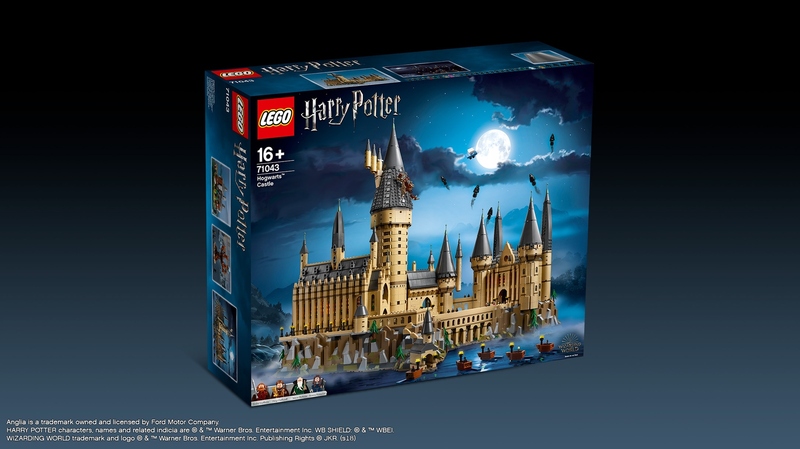 Let out your magical building powers to bring your favorite item or creature from the Wizarding World to life in LEGO bricks. ENTRY DEADLINE: Submit your entry no later than November 29th, 2018 at 6:00 a.m. EST. If you’re not sure what time zone you’re in, here’s a time zone converter. Submission Phase - Build and submit your entry before November 29th, 2018 at 6:00 a.m. EST. We recommend submitting your entry 2-3 days before the deadline in the event we have to return it to you for changes. Judging Phase – Our judges review the entries and choose the winners by December 13th, 2018. Winners Announcement  – We will share the two Grand Prize winners, two Runner-Ups and the Bonus winner here on LEGO Ideas no later than December 20th, 2018! Entries must only contain LEGO System elements (no LEGO DUPLO or LEGO Technic elements). These LEGO elements must be genuine (not cut, glued, drawn on or otherwise modified). Entries should relate to the Harry Potter™ or Fantastic Beasts™ Wizarding World and not consist of or contain copies of any other existing third party work or creation or infringements of any third party intellectual property right. This means all entries containing third party IPs, such as printed parts or Minifigures accessories from Marvel and DC Comics™ Super Heroes, Star Wars™, Lord of the Rings, etc. will not be eligible for the contest – this also includes The LEGO Movie. You may submit digital entries using  LEGO Digital Designer, which is available for download via  this link  free of charge. Any entries made in LEGO Digital Designer should not show the baseplate from build mode. You may also create digital entries using third-party LEGO CAD software. Your contest entries and comments on contest entries must follow the complete  LEGO Ideas House Rules. A Bonus prize winner will be selected randomly from a Bonus Pool of high-quality contest submissions. You may submit multiple entries to the contest, but only one entry per person will be considered when winners are selected. This means you cannot win as the Grand Prize winner and as a Runner-Up or Bonus winner with several different entries. Winners will be contacted on the email address associated with their LEGO Ideas account after December 13th, 2018. Winners will be announced on LEGO Ideas when all winners have returned the signed Winner’s Certification Documents. A winner who does not return their Winner’s Certification Document within one week (5 days) of receiving it will be disqualified, and a new winner will be selected. This contest is not open to residents of Iran, North Korea, Myanmar/Burma, Zimbabwe, Sudan, Syria, any other U.S. sanctioned country and where prohibited or restricted by law. By entering the contest, you agree to follow the rules on this Contest Brief page and you agree to the LEGO Ideas  Terms of Service.